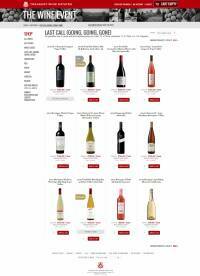 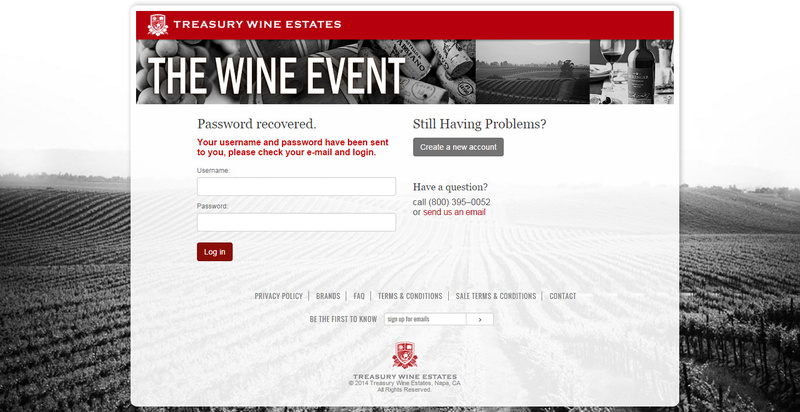 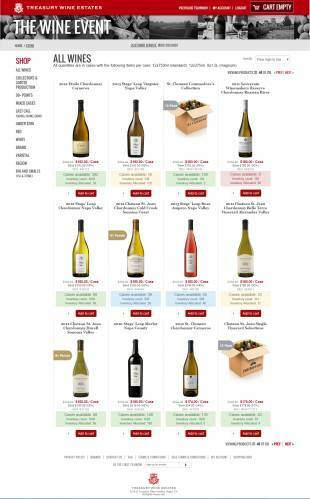 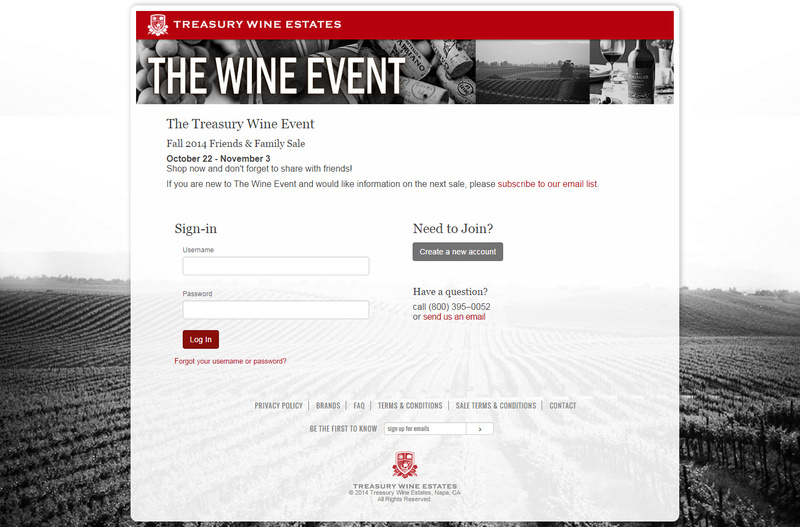 The Treasury Wine Event is a bi-annual "friends & family" sale. 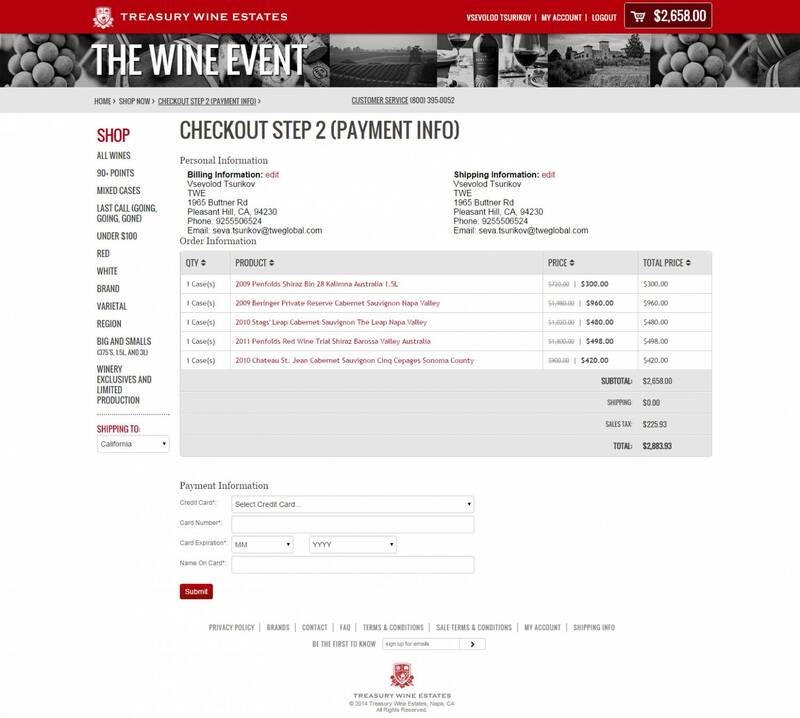 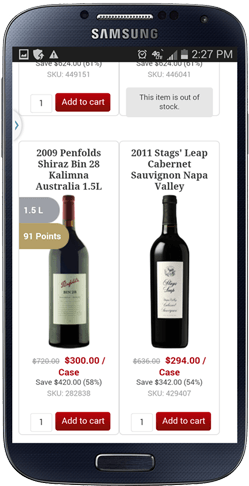 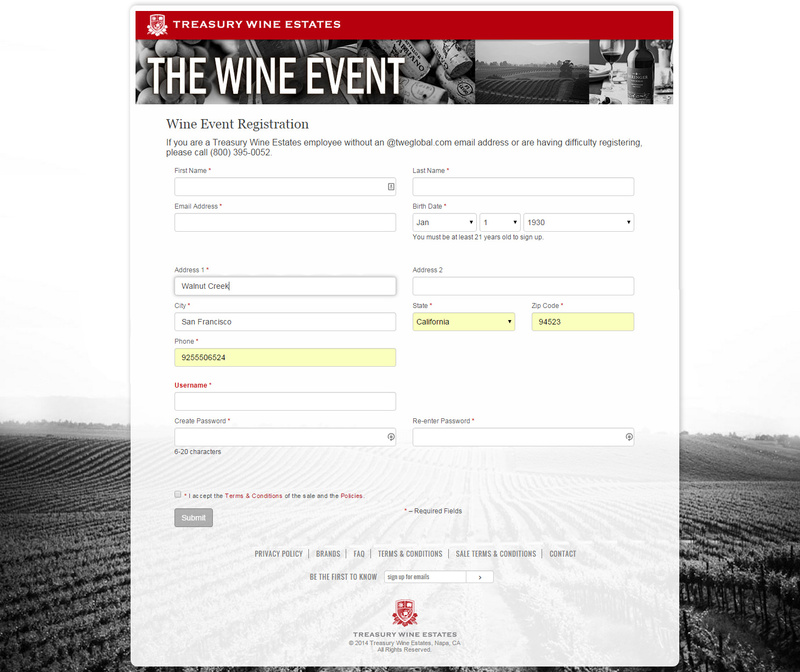 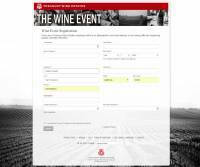 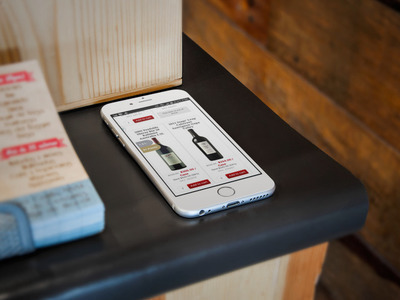 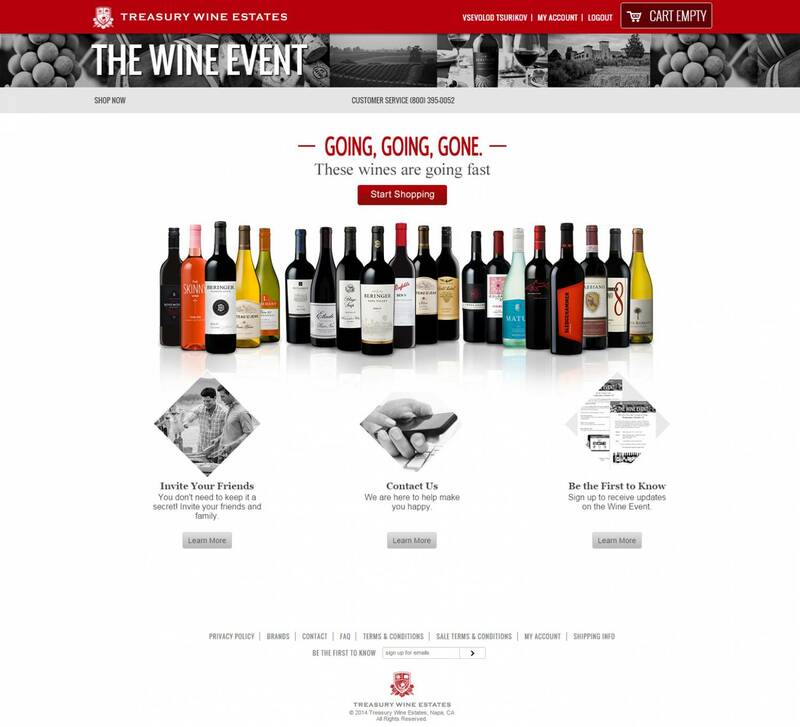 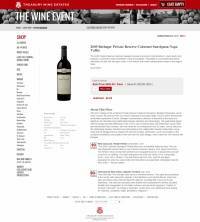 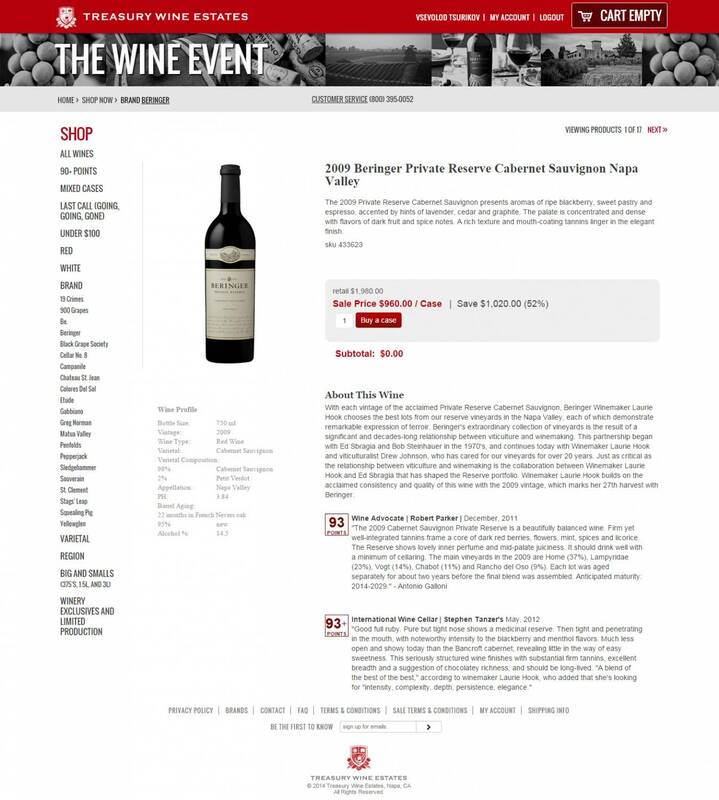 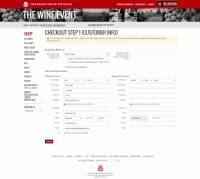 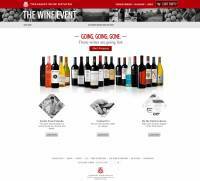 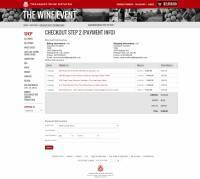 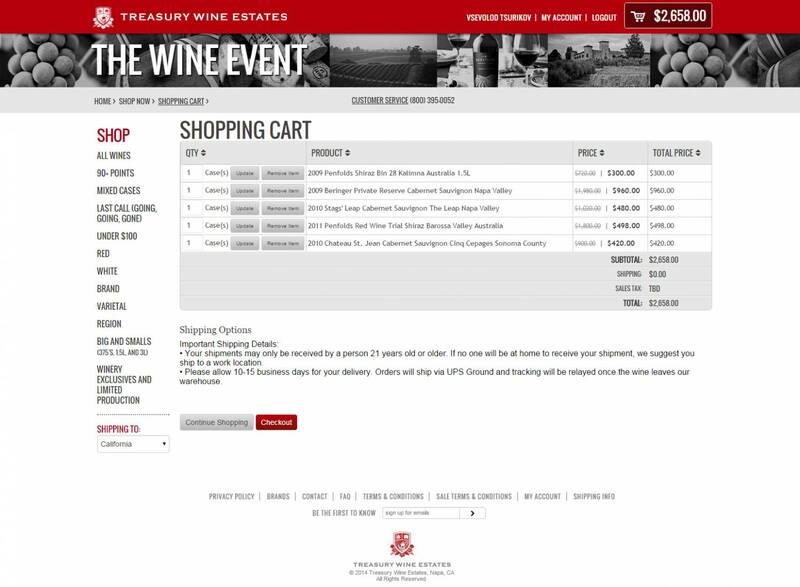 The store was designed and launched in October 2010 as alternative to an onsite annual sale that gathers hundreds of wine lovers and friends of Treasury Wine Estates company. 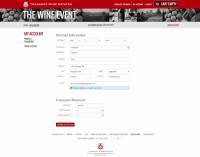 Attendance has been growing every year since. 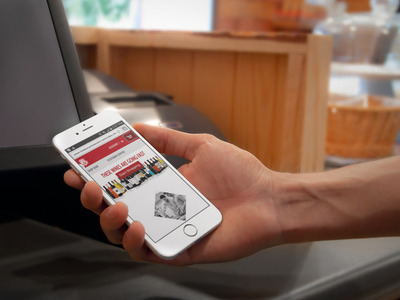 The short nature of the sale, the great offers and high discounts created a necessity in an easy to use, lightening fast store that is available on any digital device. 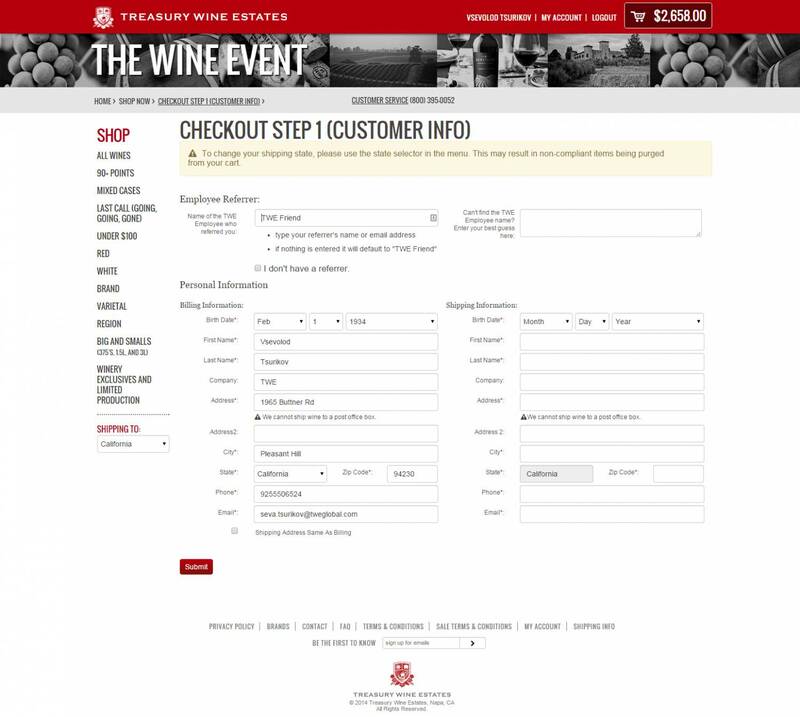 Create a steamless shopping process for new and returning users giving a better overall experience. Goals detailed. 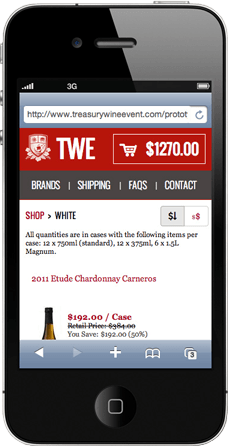 Responsive site optimized for use on mobile devices with slow internet connection speed. 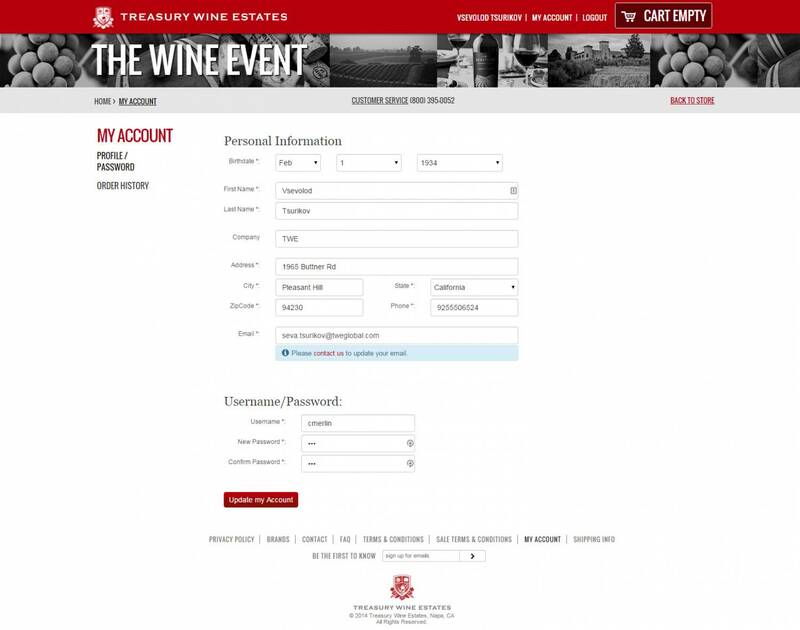 Browser plugin was developed for customer support team to create a look-up field in SaaS CMS admin panel. 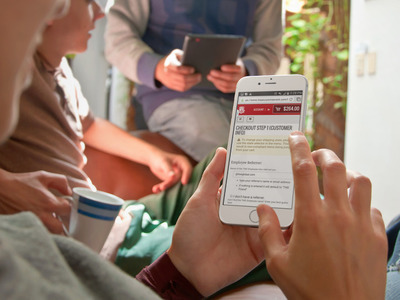 Note: Double page-views in less time! 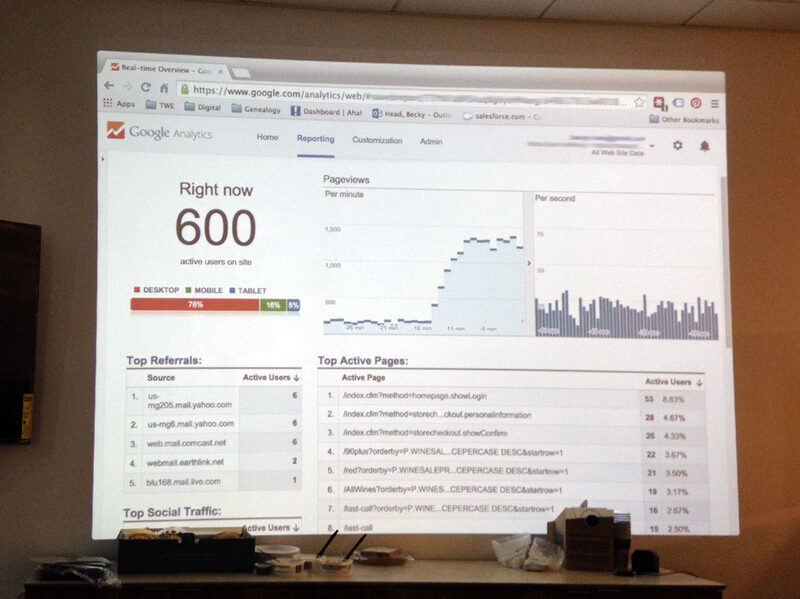 Site speed browsing increased in twice.